Joel Hamling Debut game Round 9 May 30th 2015 with Western Bulldogs against GWS. The 23 year old graduated from Broome High School. He marked Lance Franklin restricting him to just 16 disposals, 8 marks and 1 goal. Hamling played in the 2009 Cable Beach Premiership. 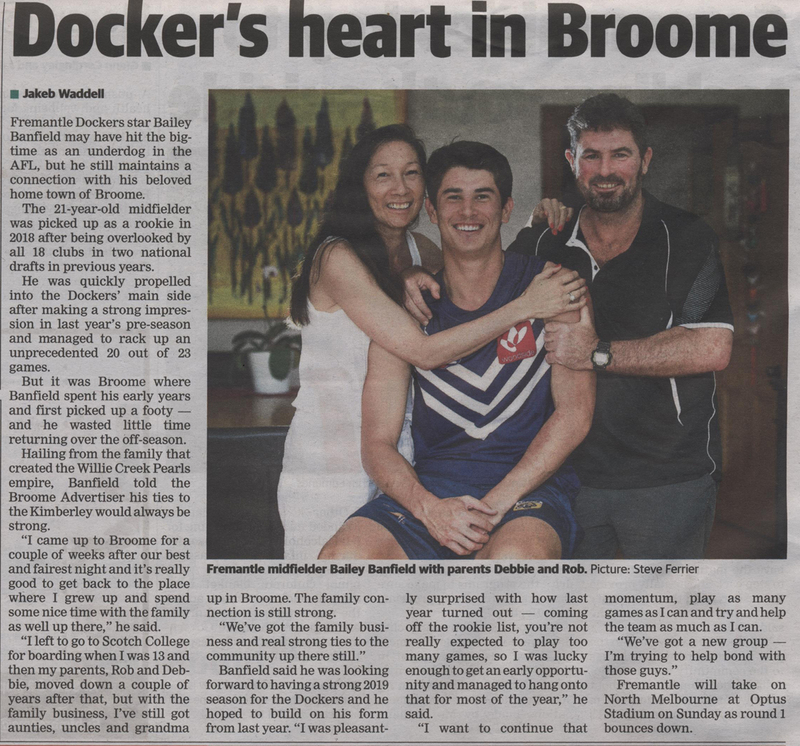 He is the first AFL Premiership player with his beginnings in Broome. 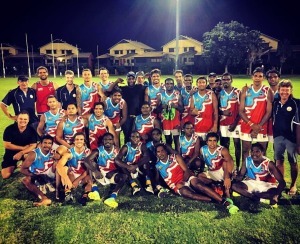 Despite jumping out of the blocks early and setting up a 26 point lead at halftime, the WKFL was overrun by the NPFL in last Saturday's representative game held in Port Hedland. 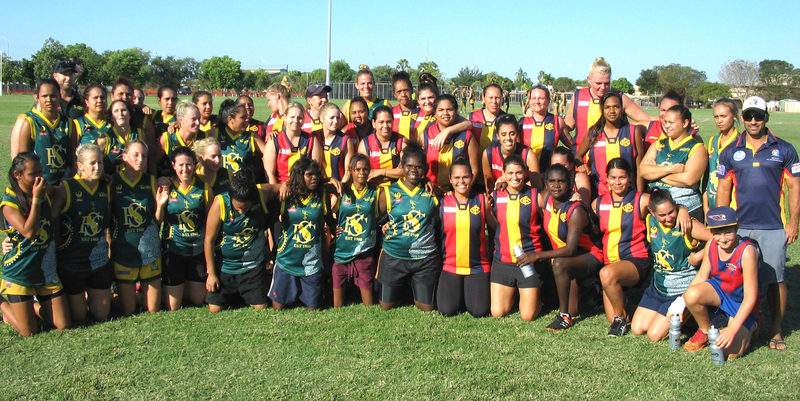 Congratulations to all those involved with the WKFL side as you represented the broader West Kimberley with pride. 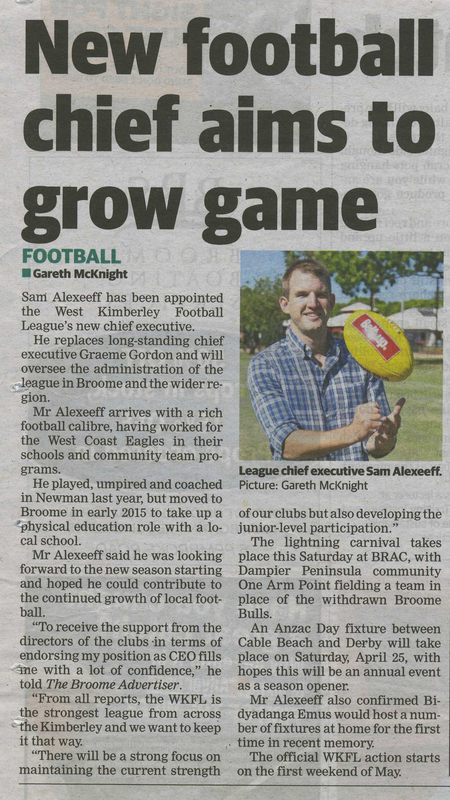 Graeme Hastie was quoted as saying, "It was a privilege to have been involved with such a wonderful group of young men. 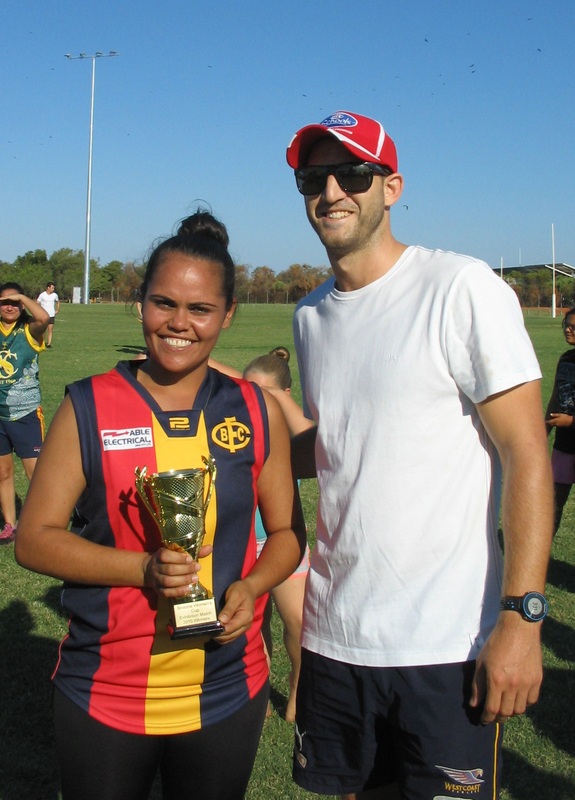 They represented the WKFL with great pride and respect." 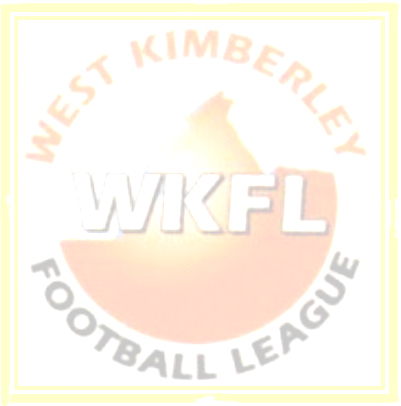 We look forward to the next opportunity set for 2018 when the WKFL will host the NPFL. WKFL: Seiwyn Hunter 5 goals, Hayden Mcloud - Rhonen Mather - Jayden Thomas - Dermot Wilson - Lachlan Daiseybell 1 goal each. 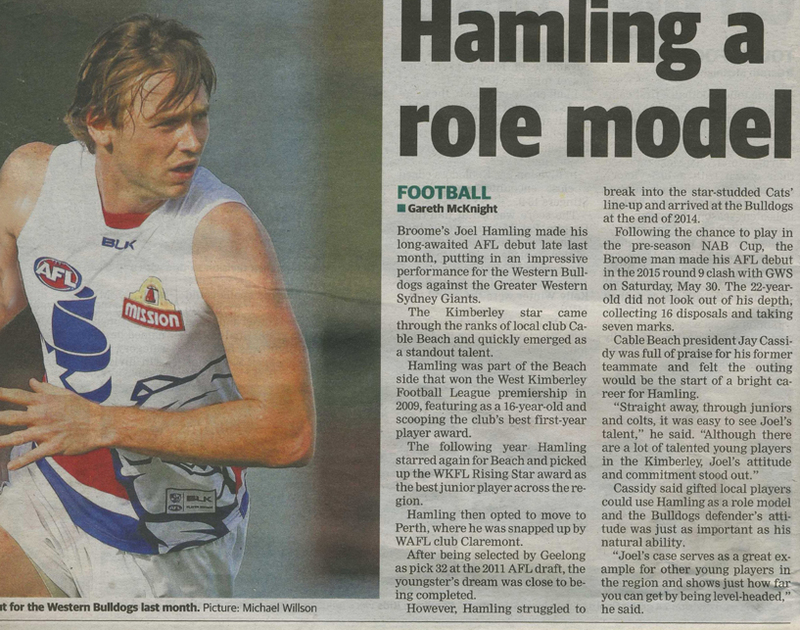 Joel Hamling Debut game May 30th 2015 with Western Bulldogs against GWS. 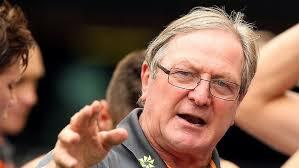 Kevin Sheedy AM is a former Australian rules football coach and player in the Australian Football League. 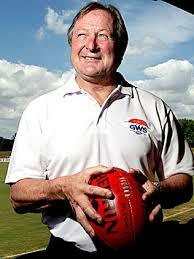 He played and coached in a combined total of 929 games over 47 years from 1967 until 2013, which is a VFL/AFL record. A tall versatile defender who can play both deep and high in defence. He is very consistent, good overhead, and very good one on one. Powell can run off his opponent as well and has shown reasonable endurance. Reads the play well and shows not only the ability to win the ball back, but also to run to space and create counter attack. 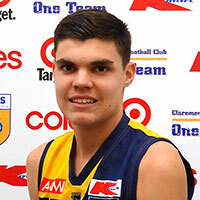 He averaged 13 disposals on his way to playing in a Claremont colts premiership this year.